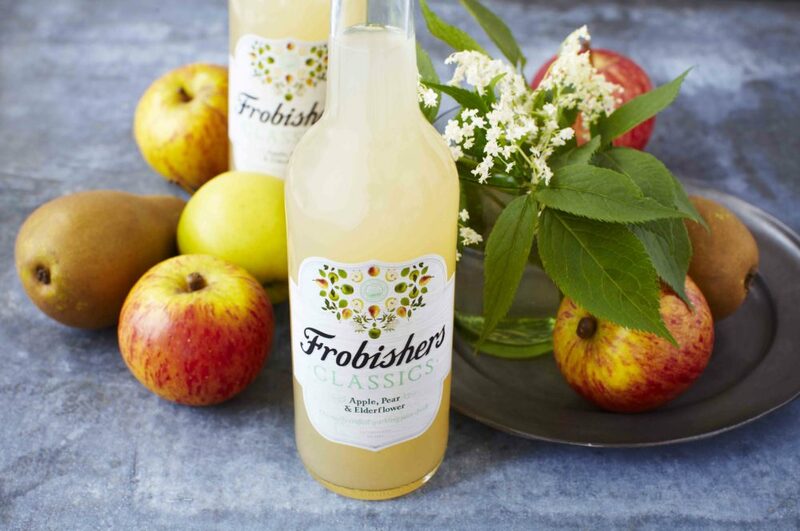 Premium juice aficionado Frobishers Juices is celebrating this morning after its newest soft drink innovation, Frobishers Classics Apple Pear & Elderflower, was named Best New Product at the inaugural Zero Alcohol Awards, held yesterday at The Barbican in London. The Zero Alcohol Awards, sponsored by Britvic, are the first of their kind to recognise and reward the range of zero alcohol drinks provided by retailers, bars and pubs across the country, alongside the innovators bringing new products to the market and creating new environments to enjoy them in. Squeezing out the competition in a hotly contested category, featuring a large range of non-alcoholic drinks, Frobishers’ delicately carbonated Classics Apple, Pear & Elderflower, which contains fewer than 85 calories per 330ml serve, won praise from a judging panel formed of industry experts, national and trade journalists and commentators. Speaking of the award, Steve Carter, sales and marketing director for Frobishers Juices, said: “The volume of products in the Best New Product category alone shows just how far the adult soft drinks category has come. It’s more important than ever that we work closely with the trade to emphasise the importance of providing consumers with premium quality soft drink options, in interesting flavours, using great ingredients, to ensure the category goes from strength to strength. Entry quality was so fierce for Best New Product that judges decided to reward a second winner’s certificate to distilled non-alcoholic spirit Seedlip. Frobishers Classics Sparkling Raspberry was also named a finalist within the Best New Product category. Frobishers Classics was launched to the on-trade by the premium juice brand in September 2015, in response to growing consumer interest in adult soft drinks and the potential they offer to operators to capitalise on this expanding and lucrative sector. Featuring a range of timeless, authentic and natural fruit flavours – Sparkling Raspberry, St Clements Orange & Lemon, Apple, Pear & Elderflower and Sparkling Ginger – Frobishers Classics is a premium proposition targeted at the discerning adult customer. Their fruit tastes are natural and authentic, with each 330ml bottle containing fewer than 85 calories.